Pivot Point Academy in Bloomingdale, Illinois provides collaborative and innovative cosmetology, barbering, esthetics, makeup, nail care, and beauty classes to help you elevate your skills. Our courses are designed to prepare you for a future career in the beauty industry. We believe in people and their potential to take a passion for the crafts of cosmetology, barbering, and esthetics and elevate them to an art. We are committed to our mission of empowering you—the next generation of beauty professionals—with education that allows you to design the career you want. 10% Alumni discount available for all classes. Financial aid available to those who qualify. Pivot Point Academy provides a hands-on, innovative, and robust Cosmetology program to enhance your hairdressing and beauty skills. Our Cosmetology classes help you enhance your skills and use your creativity to become a confident beauty professional. Our cosmetology school will include basic and advanced training with hairdressing techniques, nail care, skin care and esthetics, and makeup application. Our Cosmetology classes will also help enhance your client and retail skills to ensure you are able to brand yourself as a competent hairdresser and beauty professional. A portion of the Cosmetology program is dedicated to designing a resume and portfolio that displays your skills and experience. Sign up for our Cosmetology and hairdressing courses to become proficient in areas such as nail care, makeup application, and esthetics. Your 1500-clock hour Cosmetology program at Pivot Point Academy is split into four phases that will help you see, think, create and adapt as a beauty professional. At Pivot Point Academy, you will gain all the knowledge necessary to begin your career in skin care. We are an esthetician school that provides comprehensive esthetician classes and training for future estheticians. Our esthetics education programs and educators are committed to providing you the foundational and advanced techniques practiced in the field today. Through our partnership with The International Dermal Institute (IDI), a leader in advanced esthetics training, we provide our students online access to our esthetics educational materials combined with cutting-edge technical videos and resources from IDI. 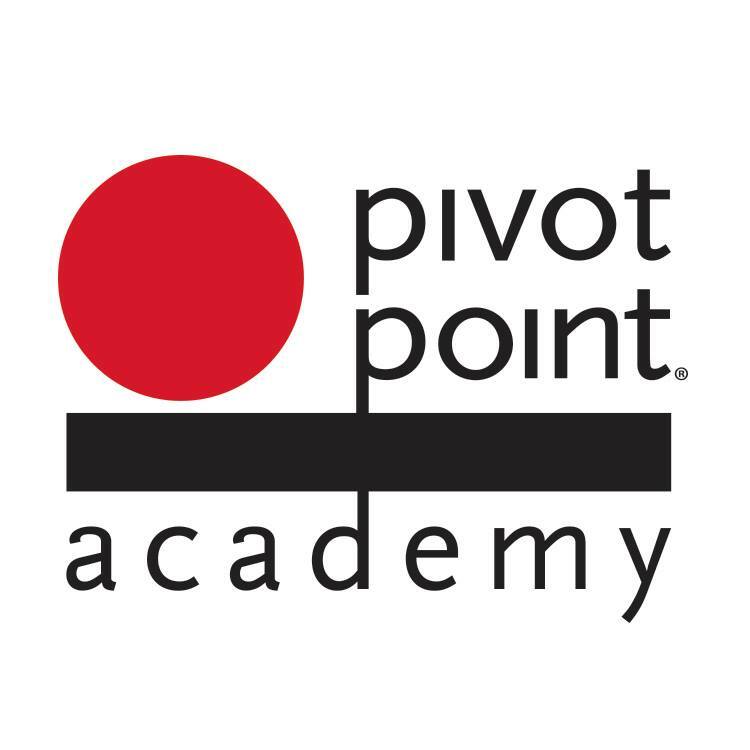 The Esthetic Program includes MUD's Exclusive 84-Hour Beauty Essentials Course and Level I Make-up Certification and since 2018 Pivot Point esthetic students are now also PCA certified! Our three-phased, 750-clock hour esthetician education program creates intelligent and skilled skin care professionals. You will graduate from our esthetician school with confidence knowing you are spa-ready and an asset to future employers in the beauty industry. Barbering – the new now. There has never been more of a demand for a well-trained professional barber, as more and more men are looking to get a great cut and relaxing shave. Pivot Point now offers a multi-level barber program that provides hands-on training in; precision haircutting, color and texture, skincare, shaving and grooming. As with all of our available programs (Learner Centered and Industry Relevant), graduates will walk away with the skills necessary to build/extend a successful career. Our 1500-clock hour barber program at Pivot Point Academy is split into multiple areas of study that will mold and develop our students into industry leading barber professionals. In our crossover FastTrack program, we will accept up to 1,000 transfer hours for applicants that currently hold an active Illinois cosmetology license. For over a decade, MUD has graduated some of the finest makeup artists from around the world from its exclusive 84-hour makeup class. Whether you desire to work on the fashion runways or in Hollywood, MUD provides the training you need to enhance your skills and pursue your career as a makeup or beauty professional. Make-up Designory is partnering with Pivot Point Academy to take make-up education to the next level. Make-up Designory (MUD) provides leading education in the craft of make-up artistry, as well as in related fields that are specific to the needs of both the novice and the experienced artist. MUD courses are designed for those seeking to broaden and increase their knowledge and are taught by MUD certified instructors. Each course requires specific tools for the class, while helping to build a kit for professional use. Included in the kit, are a variety of MUD cosmetics and course materials. MUD promises quality, long-lasting wearability, flawless application and radiantly accurate color. With our systematic lines, precision tools, how-to guides and insider tips, we’ve eliminated the frustrating guesswork. Just simple, smart, versatile make-up. No wonder MUD has been the expert choice of make-up professionals for the past decade. Are you ready to empower the next generation of artistic designers and cosmetology students with education and the experience you have gained in your career? Then a Pivot Point teaching education is your first step toward becoming a valued mentor in the lives of cosmetology students. The instructors at our cosmetology and beauty school help students learn and practice the latest hairdressing, nail care, skin care, and makeup techniques utilized in the industry by beauty professionals. Our cosmetology class and program prepares instructors for a future career in the field of teaching. This cosmetology teacher program is a first come, first-serve opportunity that will fill up fast. You find the next class start date under our school calendar. This learning intensive cosmetology teacher program at our beauty school will cover everything you need to know to be teaching cosmetology anywhere. This cosmetology teacher program is completed at the end of only 500/1000 hours spread over 2 days per week (TUE & WED from 9am - 4:45pm). Pivot Point’s Mindful Teaching™ coursebook consists of theoretical and practical instruction. The cosmetology curriculum and courses of study are designed to instruct a teacher trainee in teaching methods that are efficient and effective in the classroom. Our Teacher Training Course provides a classroom atmosphere that allows cosmetology trainees to practice the teaching theories and skills they acquire in the cosmetology program under the guidance of a licensed cosmetology educator. To qualify for the 500 hour teacher cosmetology class offered at our beauty school, cosmetology students must have 2+ years of experience and maintain an active license the entire time. For more information about our cosmetology class and program, call 847-985-5900. We are happy to answer any questions or concerns about our cosmetology class for future instructors. By submitting this form, I expressly consent to be contacted by Pivot Point Academy with materials for educational services via telephone or text message. I understand that the calls and messages may be transmitted using an auto dialing system.